Social media companies, law enforcement agencies and free speech activists all agree that open discussions among them are useful and necessary in dealing with the issue of social media being used as a recruitment tool by violent radical groups such as ISIS, VOX-Pol’s Dr. Maura Conway has said. Speaking to techPresident shortly after conclusion of VOX-Pol’s Workshop on the Role of Social Media and Internet Companies in Responding to Violent Online Extremism, Dr. Conway described the event as “a start in terms of getting a diversity of stakeholders together and putting the relevant issues on the table.” All stakeholders who attended the workshop spoke of how “relatively rare it is for them to sit down and exchange views,” she told techPresident. “No general consensus was arrived at, but there was definitely an appetite for conversation and debate on all sides. Almost everybody agreed that open multi-stakeholder discussions such as these are useful and need to continue.” Read the full article here. 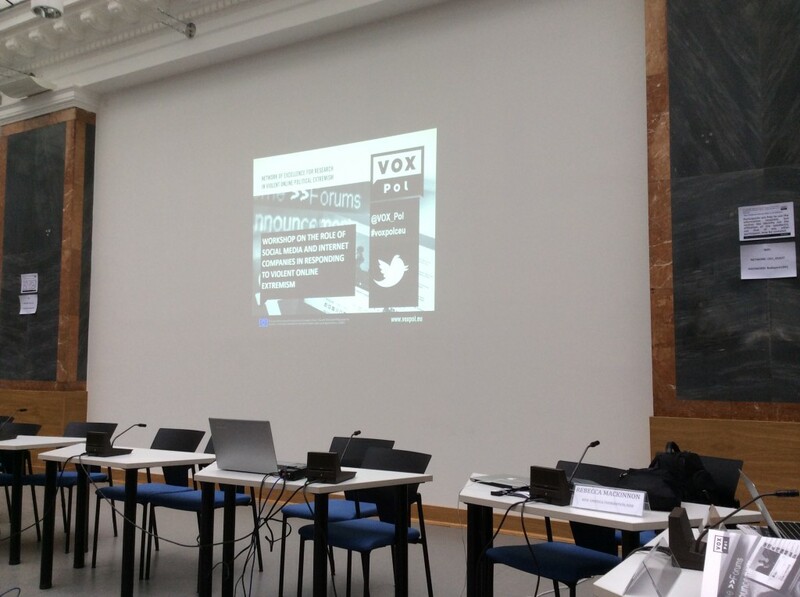 The Workshop on the Role of Social Media and Internet Companies in Responding to Violent Online Extremism was held at the Center for Media, Data and Society at Central European University in Budapest, from 5 – 6 March. Nearly 40 experts from policymaking, human rights groups, free speech and data privacy activists, law enforcement, social media and academia participated in the event. For a more detailed look at the workshop’s proceedings, visit our blog and check out the workshop Storify.